HENRY, Duke of Bavaria (972-1024), saw in a vision his guardian, St. Wolfgang, pointing to the words “after six.” This moved him to prepare for death, and for six years he continued to watch and pray, when, at the end of the sixth year, he found the warning verified in his election as Holy Roman Emperor. Thus trained in the fear of God, he ascended the throne with but one thought—to reign for His greater glory. The pagan Slavs were then despoiling the empire. Henry attacked them with a small force; but angels and Saints were seen leading his troops, and the heathen fled in despair. Poland and Bohemia, Moravia and Burgundy, were in turn annexed to his kingdom, Pannonia and Hungary won to the Church. 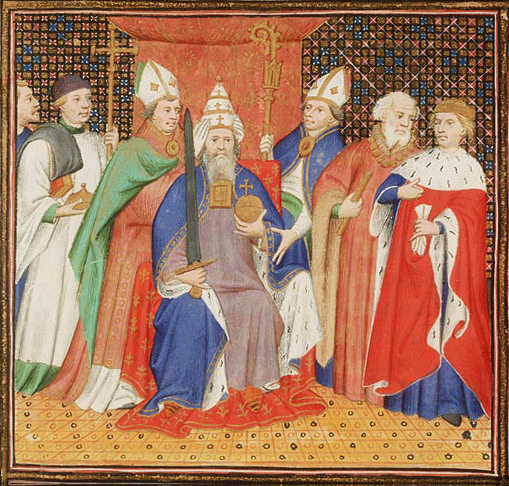 With the Faith secured in Germany, Henry passed into Italy, drove out the Antipope Gregory, brought Benedict VIII. back to Rome, and was crowned in St. Peter’s by that Pontiff, in 1014. It was Henry’s custom, on arriving in any town, to spend his first night in watching in some church dedicated to our blessed Lady. As he was thus praying in St. Mary Major’s, the first night of his arrival in Rome, he “saw the Sovereign and Eternal Priest Christ Jesus” enter to say Mass. Sts. Laurence and Vincent assisted as deacon and sub-deacon. Saints innumerable filled the church, and angels sang in the choir. After the Gospel, an angel was sent by Our Lady to give Henry the book to kiss. Touching him lightly on the thigh, as the angel did to Jacob, he said, “Accept this sign of God’s love for your chastity and justice;” and from that time the emperor always was lame. Like holy David, Henry employed the fruits of his conquests in the service of the temple. The forests and mines of the empire, the best that his treasury could produce, were consecrated to the sanctuary. Stately cathedrals, noble monasteries, churches innumerable, enlightened and sanctified the once heathen lands. 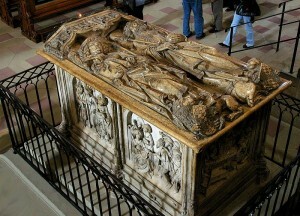 In 1024 Henry lay on his bed of death. He gave back to her parents his wife, St. Cunegunda, “a virgin still, as a virgin he had received her from Christ,” and surrendered his own pure soul to God. Reflection.—St. Henry deprived himself of many things to enrich the house of God. 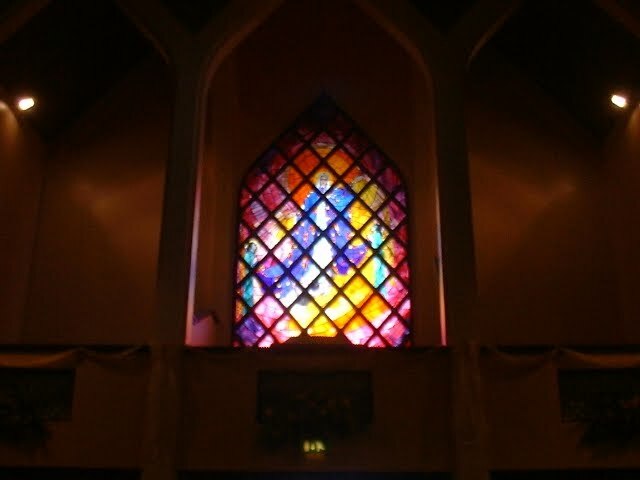 We clothe ourselves in purple and fine linen, and leave Jesus in poverty and neglect. Previous ArticleWhat Do Twilight, Fifty Shades, and Leviticus Have in Common?